Ink Blot Shop, LLC is on YouTube! 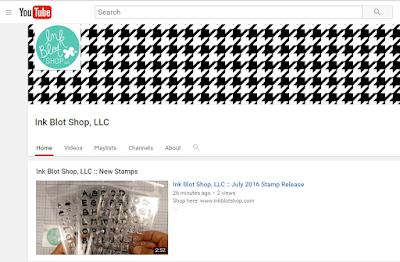 I've got more fun news to share...Ink Blot Shop, LLC is now on YouTube! There are a few videos up on the Ink Blot Shop, LLC channel already, with more to come! And, while you are over on YouTube, check out my Ink Blots by TRD channel as well. Both will feature different content, so be sure to subscribe to both!